“So, do you still have polio in Pakistan?” my shocked Argentinian friend asked me during a discussion on different epidemics in the developing countries. I admitted that my country was amongst the four which were still fighting a battle against polio. This also implies that my nation is at a risk of having travel restrictions imposed if polio is not eliminated by the end of 2012 ( much to the horror of my international friends here in the US). After all, in a country where one is more concerned about coming home alive after a long day at work, who cares about education or provision of necessities that make the gift of life complete for children? It has been predicted that 71% of all the polio cases will be from the northern areas of Pakistan. 42 cases alone, just this summer in the year 2011, were reported from Khyber Pakhtunkhwa and FATA. Every third child in FATA was not given polio drops because of a number of reasons. Despite 1,200 teams outreaching 400,000 children in Swat, around 25 cases of polio were reported in the last three years. As opposed to the rest of the world, polio seems to be on the rise in this part of the country, which is closer to Afghanistan and people debate on polio drops being halal or not. In the year 2009, 300,000 children were not given polio drops in Swat Valley because Taliban-influenced Ulema preached thatthese vaccinations caused infertility and were a conspiracy of the US against the Muslim world. Tehreek-i-Taliban went ahead and declared that these vaccines were made up of pig-fat and hence haram for all Muslims and any child who would suffer from polio would die a martyr after refusing these vaccines. Maulana Fazlur-Rehman also declared these vaccinations anti-Islamic and launched a campaign against the polio campaigns through his daily sermons. In a society, where people trust religious leaders and scholars so blindly, fatwas (religious verdict) followed and children were made vulnerable to P1and P2 virus. The situation is worse in Khyber Pakhtunkhwa – the province of Pakistan, which under the Taliban influence has been dealing with so many other major issues, that a group of crippled children is not given much attention. 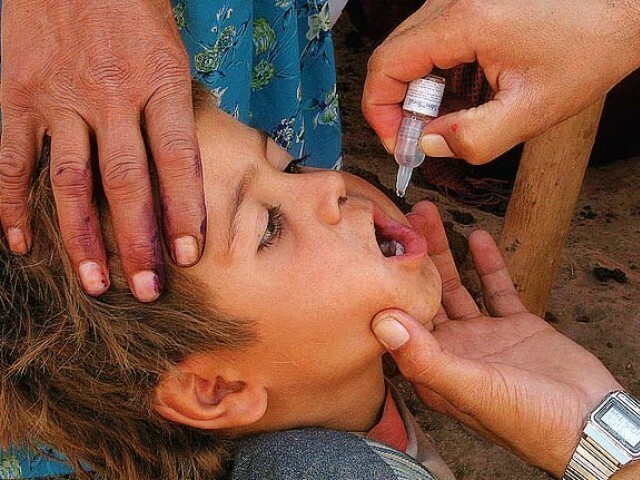 Later in the same year, the Rotary Club organized a convention for religious scholars coming from different parts of the world to convince people in Khyber Pakhtunkhwa that the polio drops are safe, ‘halal’ and conspiracy-free. A lot actually changed in March 2011 when religious leaders helped resolve more than 8,000 polio vaccine refusal cases by removing doubts and negative perceptions of the people in Khyber Pakhtunkhwa and FATA regions. The Institute for Research and Development in Swat (IRDS) highlighted the role of these 160 religious scholars favouring polio vaccination and condemning those who call it haram and against Sharia. The fake polio campaign for Osama Bin Laden’s search has further strengthened the misconceptions of the people regarding Western conspiracies in some parts of the country. However, despite some positive attempts, it will take more than ulemas of 88 mosques, eight group meetings, and one district level seminar to raise polio awareness amongst the local people of polio vaccination being legal under Sharia law. A total of 33 million children are expected to be vaccinated in 2012 but 22 million out of these are still at a risk of not being vaccinated. Water contamination, environmental pollution, and the presence of viruses in drinking water cannot be the only reasons why this disease is not combated in Pakistan. The role of religious leaders needs to be redefined and they need to go through a make-over regarding issues related to the provision of health and education facilities. Islam does not in any way prohibit the use of medicines to combat diseases. We must remind ourselves of the time when the Holy Prophet (SA) sent for Harith Ibn Kulda, the doctor of the Arabs, for his medical advice, and he was not Muslim. This makes it obligatory on all of us and rests a greater responsibility on the religious leaders to take initiatives to encourage the common people to take steps for the safety and health of their communities. The ulema need to believe with their new make-over that the ability to prevent a disease is a mercy from Allah. 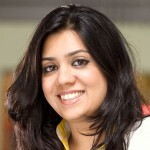 Correction: An earlier version of this post accredited the author incorrectly as Mariam Ishaq. This has been changed. If that technicality is all they’re worried about, then the vaccine should be completely acceptable to the people regardless. As a doctor who has actively participated in the polio vaccination campaign, and studied it to death in medical school several years ago, I can assure you there’s nothing haram about it. But even if the vaccine had been made from pig fat soaked in whiskey and administered by prostitutes, no rational human being, religious or otherwise, should be objecting to this life-saving vaccine. even if the vaccine had been made from pig fat soaked in whiskey and administered by prostitutes, no rational human being, religious or otherwise, should be objecting to this life-saving vaccine. Do you have any idea what the content of the vaccination is? And why don’t they have the same vaccine for their own country? Fishy. Seriously? Where did you hear this from? Have you even bothered to fact check it yourself and research what makes up the ingredients? Or do you rather instead like to stew in unfounded suspicious conspiracy theories? You think the TTP and most conservative Mullahs know any better? I remember when I first heard of Mullah Radio’s anti-Polio drivel and attacks on volunteers. I told my friends this guy was going to be serious trouble, but they dismissed it as being unfounded. Unfortunately after their brief takeover of Swat, those who took the threat of religious extremism seriously were proven right in their warnings. Quite unfortunate that it became a self-fulfilling prophecy in regards to the CIA doctor. Regardless, there are now some positive stories by some religious leaders and scholars of the Ulema stepping up with the NGO’s for progress and debunking myths, at least in regards to vaccinations.